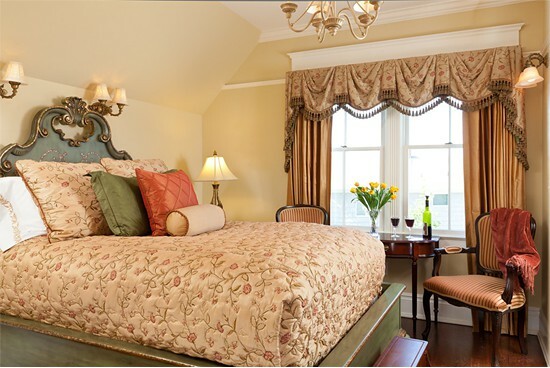 Our Tuscan Dream guestroom can best be described as a kaleidoscope of colors depicting the enchanting landscape of the Tuscany Region from the mountains to the sea. You will feel pampered in the Pisa Mansion Queen size bed, its dramatic Florentine-finish headboard with its subtle gold tipping and delicate scroll legs. 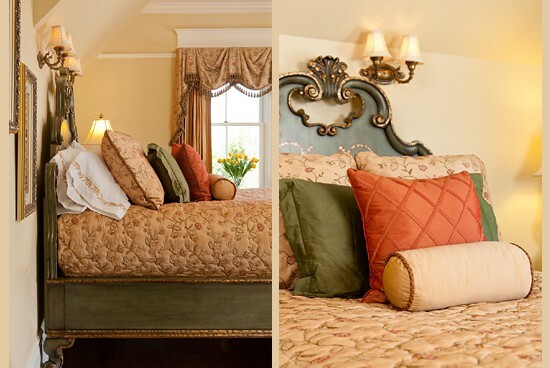 The elegant bedding reflects the warm rich colors of Tuscany. Enjoy the comfort of a good night sleep on high quality count thread European linens, Hungarian goose down comforters and pillows. You may want to browse through books of interest about the Tuscany Region, rich in medieval history by the marble gas fireplace, or simply gaze upon the golden sunset over the adjoining lake. 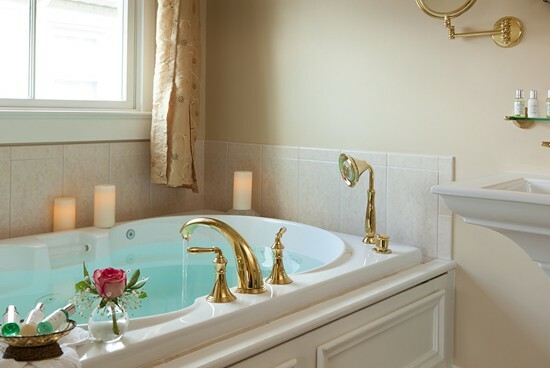 An Italian ceramic tile bathroom with a Whirlpool for two and separate tile shower welcomes you to linger longer in the comfort of this guestroom. 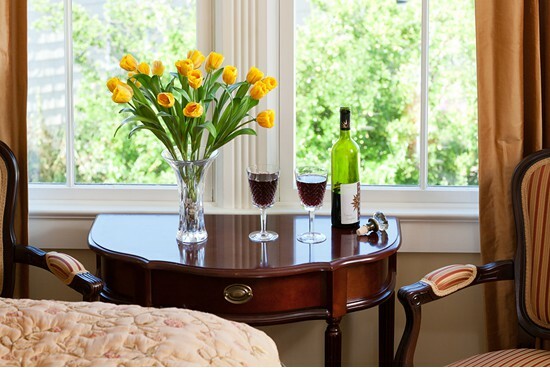 Additional amenities include a flat screen high definition TV with DVD player, and a wireless internet connection. A complimentary gourmet breakfast completes this country experience.